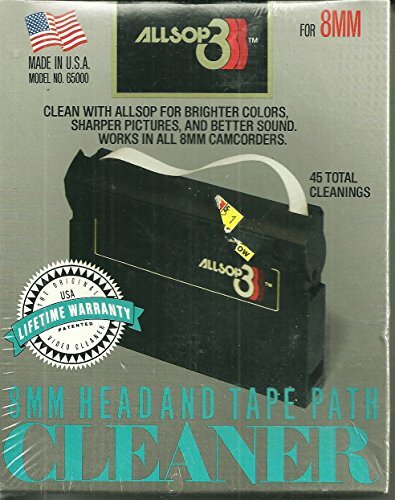 8mm head and tape path cleaner. Model no. 65000. Made in the U.S.A.
Clean with Allsop for brighter colors, sharper pictures and better sound. Works in all 8mm camcorders.